When I was little, I had this hat. This hat was long — at least as long as I was — and pointy, and it was striped in blue and grey with a tassel on the end. It was long enough to use as a scarf and a hat at the same time, and it tapered over the whole length until it was as pointy as one of those icicles on the tip of the eaves at the end of winter that almost reach the ground. It was a ridiculous hat, and I loved it so. About a month ago, I suddenly remembered that hat. Then I realized that I had a nephew who needed a Christmas present. Then I remembered this gorgeous yarn that had been languishing in the stash. It was far too fancy for a child’s hat, but phooey: after more than two years in the stash, it pretty much counted as free yarn. Besides, the colours were perfect. 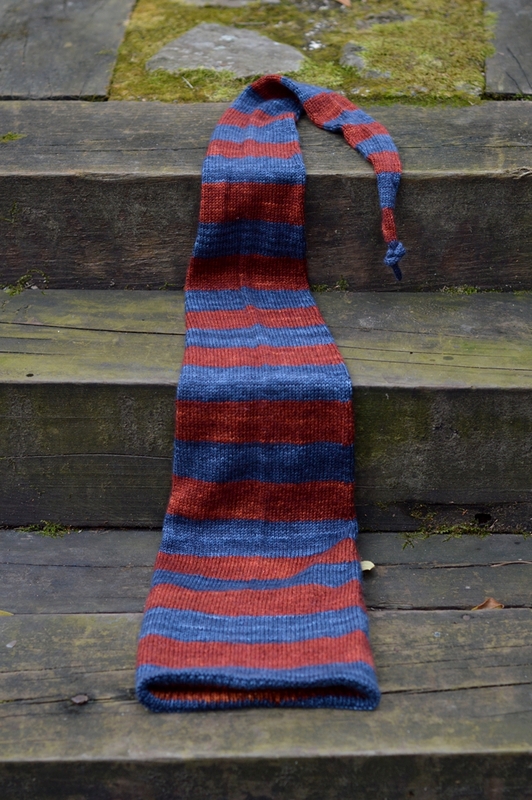 So I mathed and I knit and I mathed and I knit, and I made this thing. This long and luscious and loud and pointy thing. This ridiculousness of a hat, with colourful stripes and an orange lining. 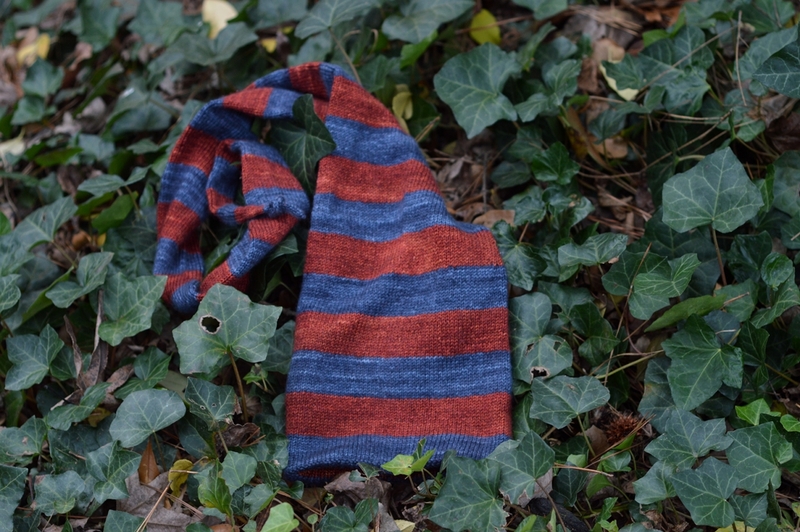 This hat that is also a scarf. And then I tied a knot in the end and called it done. Now that, my friends, is a hat. Thank you! It was a lot of fun to make, too — I found myself giggling like a loon at its ridiculousness. That is an awesome hat, daughter! Love it!!! !